The Australia-Japan Society – ACT Inc. 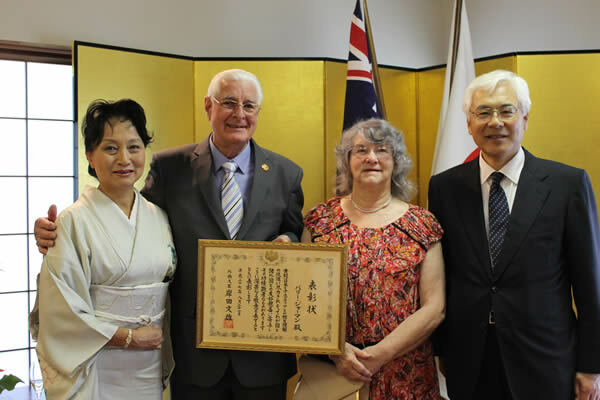 The Australia – Japan Society (ACT) Inc. (AJS) is a non-profit community organisation, formed in 1972 to facilitate contact and understanding between Australians and Japanese and to promote informed interest in Japan, Japanese culture and Japanese people. 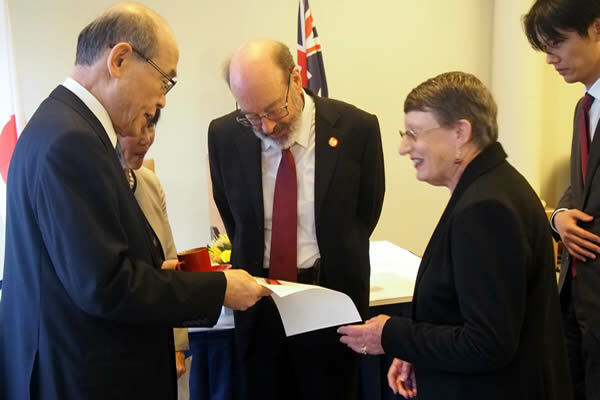 The Society enthusiastically cooperates with other organisations interested in promoting the Australia – Japan relationship, including universities, schools and the Federal and ACT governments, and works closely with the Embassy of Japan. AJS (ACT) receives a variety of requests from companies, organisations and individuals seeking information and assistance on Japanese contacts and communication. We assist where we can, including by providing referrals for interpreting and translation services. 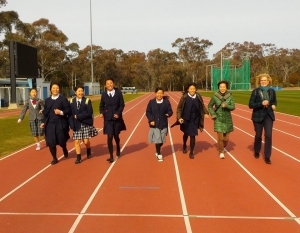 AJS (ACT) conducts an annual student exchange between secondary schools in Canberra and in Japan in collaboration with the Japan-Australia Society, Kobe. Arranging host accommodation and short term billets for visitors from Japan is an integral part of the Society’s activites. Each year Society members host a large number of students and visiting cultural groups from Japan. The Society’s quarterly newsletter, “Kakehashi”, includes articles of general interest on Japan contributed by members. There are regular items on AJS news, social events, exhibitions, television and film reviews and links to on-line information on Japan. The Society manages, coordinates and supports a number of Program each year. A student exchange is conducted each year in cooperation with the Kobe Japan-Australia Society. Secondary students from Canberra and from Kobe have an opportunity to study and live with a family. The 6-10 weeks exchange provides a unique cultural experience, immersion in the local language and can lead to lasting friendships. The AJS (ACT) provides the selected Canberra secondary students with the full cost of return travel. Twice each year the Australia – Japan Society (ACT) arranges participants for a two-week in-country course in Japanese language/culture – in Kanazawa, Japan. The course is run by the Ishikawa Foundation for International Exchange (IFIE) in April and September/October. 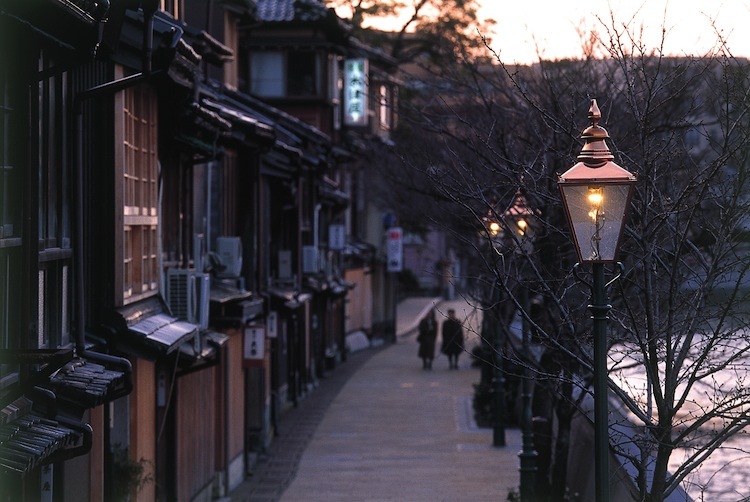 During the course, mornings are spent in formal language classes and, most afternoons, opportunities are provided to explore the local culture, either in organised classes and excursions or course participants are encourged to explore Kanazawa by themselves or with other members of the group. Below is a video about the program, and you can also find more information at http://www.ifie.or.jp/ijsc/english/ijsp/index.html The AJS two week course doesn’t, of course, cover the full range of activities shown for the longer courses in the video, but there are many common features. The total course cost per participant, including all course fees, cultural activities and accommodation for the duration of the course (but NOT including fares to and from Kanazawa, Japan) is, depending on fluctuations in the $/yen ratio, around $900 – $1,100. Participants are advised to allow about $30 – $40 per day for day-to-day expenses (bus fares, lunches, souvenirs etc) so the total cost for the two week experience, by the time you have travelled to and from Kanazawa, is usually around $3,000. Applicants must be at least 20 years old, must be a member of an Australia – Japan Society or an affiliated organisation (or join one) and must be prepared to stay in Japan for the duration of the course. You can also get an in-depth view of the program by visiting our testimonies page! 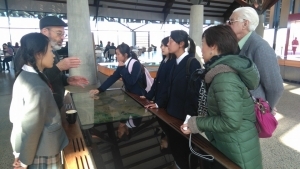 From early 2012 the AJS (ACT) has been running a program to bring students who lost parents in the disastrous Tohoku Earthquake and Tsunami, for a brief respite holiday in Canberra. Up to 300 children lost both parents and more than 1000 lost one parent. This program is called the “TOHOKU YOUTH PROGRAM”. The purpose of these visits is to create friendship and goodwill and to show these young people that the Australian community cares for them and wishes to help.They participate in many social and educational programs while in Canberra: they are hosted at schools, visit Federal and ACT government departments and visit many venues and sights in Canberra. This program is supported by the Australia-Japan Foundation, the Embassy of Japan, Ashinaga Ikuei Kai in Japan, Radford College, Questacon, the National Zoo and Aquarium, the Farmyard Nursery at Symonston, our patron Mr. Ron Murray AM of Murrays Bus Company, Japan Airlines plus many more Canberran individuals. The students home-stay in pairs with host families from Radford College. The funds for the program have been raised by the AJS (ACT) though fund raising events, grants from the Australia-Japan Foundation, plus the support many other Canberra organisations, too many to acknowledge here. The first visit took place in March 2012 and to date we have accepted eighteen young students and planning for another four this year. We now know that this program does help these young people and can change their lives. The AJS (ACT) is inviting the community to participate by supporting this program. Membership of the AJS is open to all persons and organisations who have a genuine interest in Australia-Japan relationships. Members are invited to renew membership from 1 July each year. There are Individual, Family; Youth/Student; Educational Institution and Corporate membership categories.